Hello Fans Behind the Cloud! Just the other day, I was feeling a bit nostalgic and went through some older pictures. After looking through them, I asked myself why am I not sharing these pictures with my fans? After having this epiphany, I am proud to announce a new concept to my blog called the “Photo Cloud”. When the mood hits me, I will share a photo that was taken by me. Each picture will have a brief story to go along with it so I am not just posting random pictures without making them meaningful. Hopefully two things will happen after sharing my pictures. First, I hope that my readers will enjoy the storytelling through my pictures. Lastly, I hope that this will give me the itch again to take more pictures. Well there is no time like the present to start! In the spirit of Fathers Day, I thought that my first shared picture should honor my father. 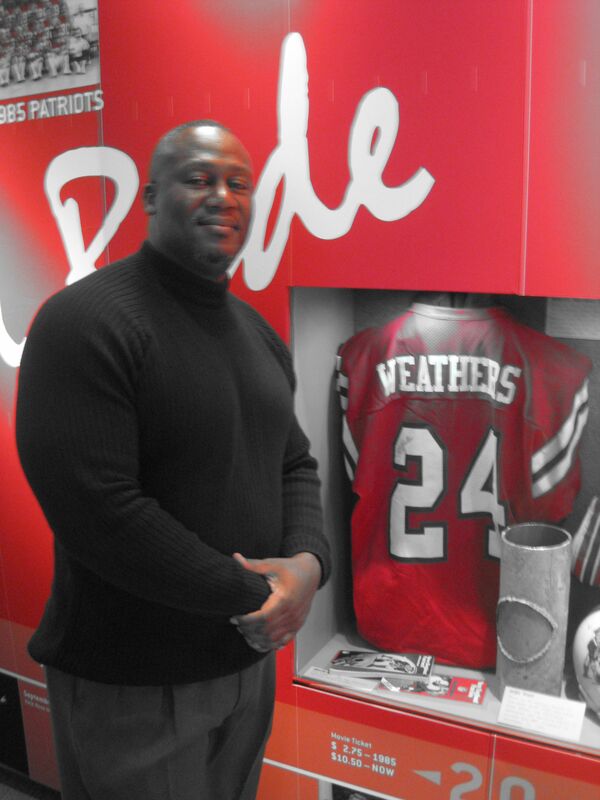 For those that do not know, my father played professional football for the New England Patriots. This picture was taken at an exhibit in the Patriots Hall of Fame that honored the first Patriots team to make it to the Super Bowl. Yes I know that they got stomped by the Chicago Bears. However, I have to say that this Bears team might have been one of the greatest teams of all time. Anyways, I digress. I cannot begin to express how proud I was seeing this exhibit and knowing that my dad was apart of history. I was truly a proud son and still am! Happy Fathers Day pops! June 13, 2014 in Photo Cloud.